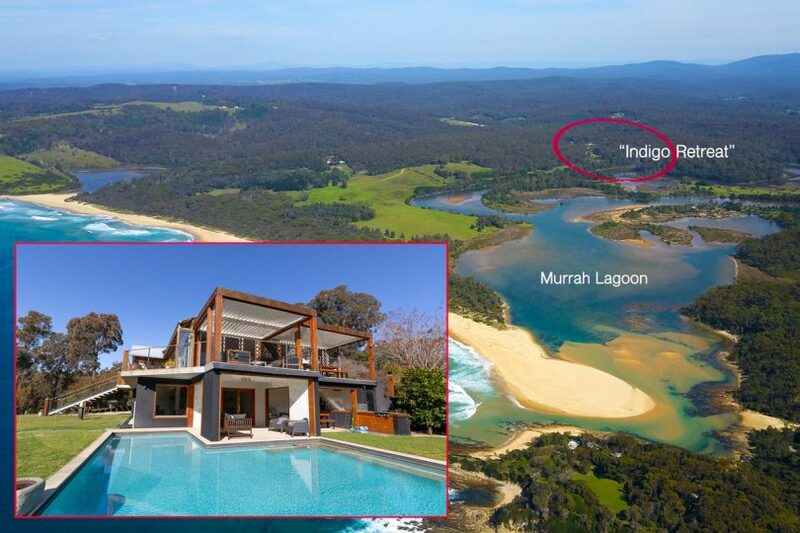 Indigo Retreat has two luxury lodges and its own private track to access secluded Murrah Beach. 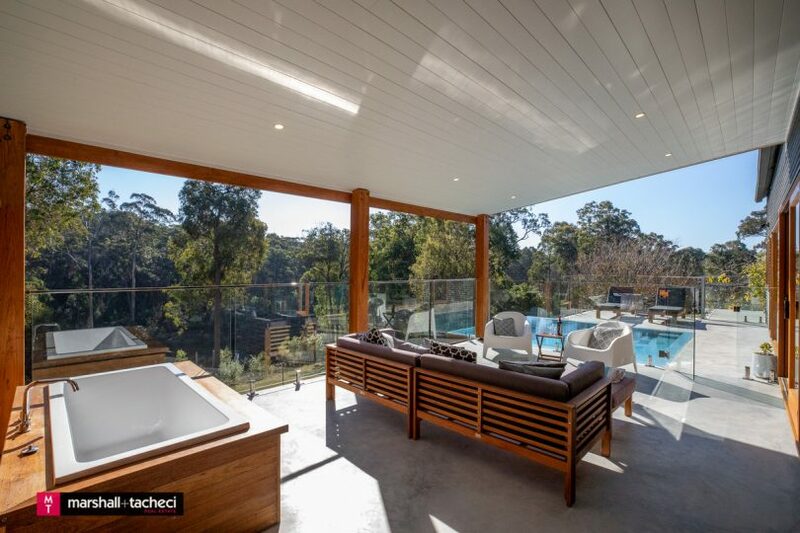 All photos supplied by Marshall and Tacheci Real Estate. 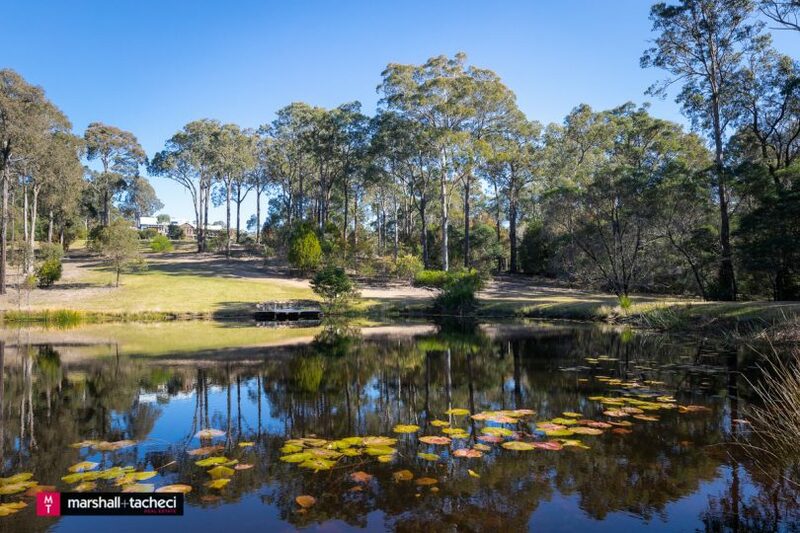 If the festive season has you dreaming of a permanent escape to the beach then an 80-acre patch of paradise with two luxury lodges on the NSW South Coast may be the answer. 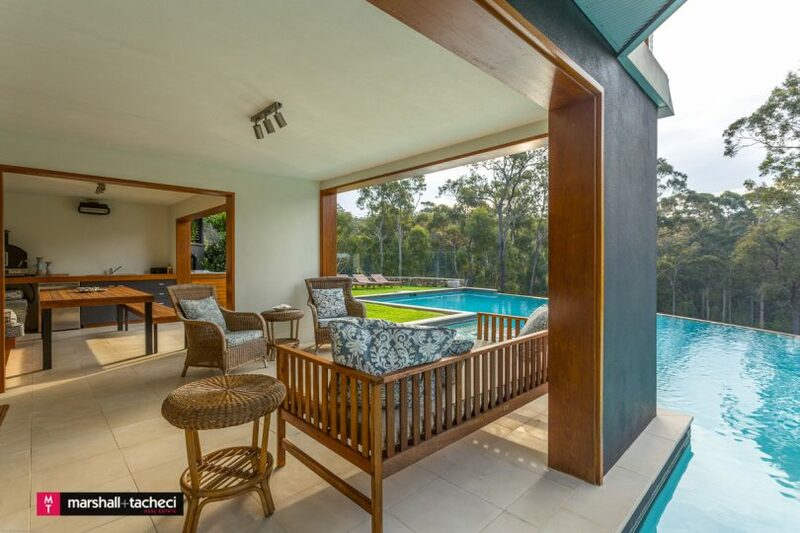 ‘Indigo Retreat’ boasts the delights of pristine lagoon frontage and its own private track to access secluded Murrah Beach – as well as the attractions of surrounding bush, interloping wildlife and the sound of the waves. 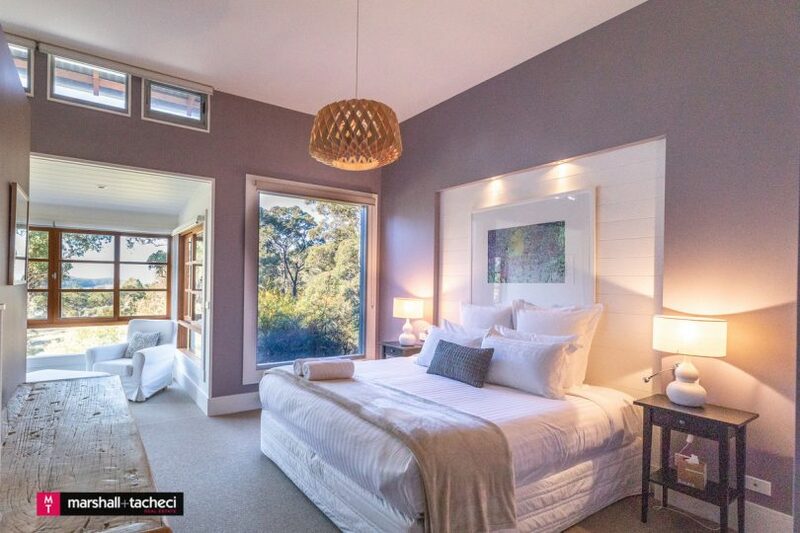 Located just 12 minutes’ drive away from the seaside village of Bermagui, the eco-property has built up a strong reputation for holidaymakers and others looking for a special getaway but could also be used as a lifestyle property or family home. 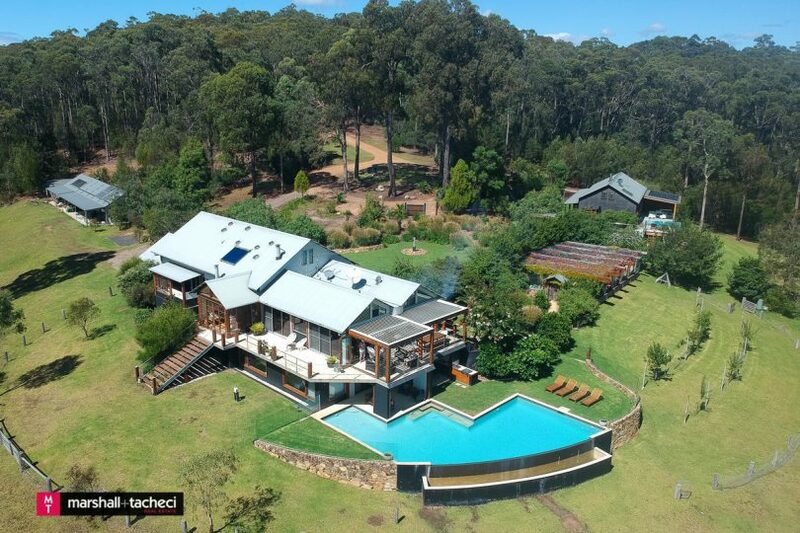 With a price guide in the vicinity of $3 million, the property at 2958 Tathra-Bermagui Road features two impressive lodges which each have their own infinity pool, as well as a large 8-bay steel utility shed, beautifully-landscaped gardens, an orchard, a 160-tree olive grove and three dams. 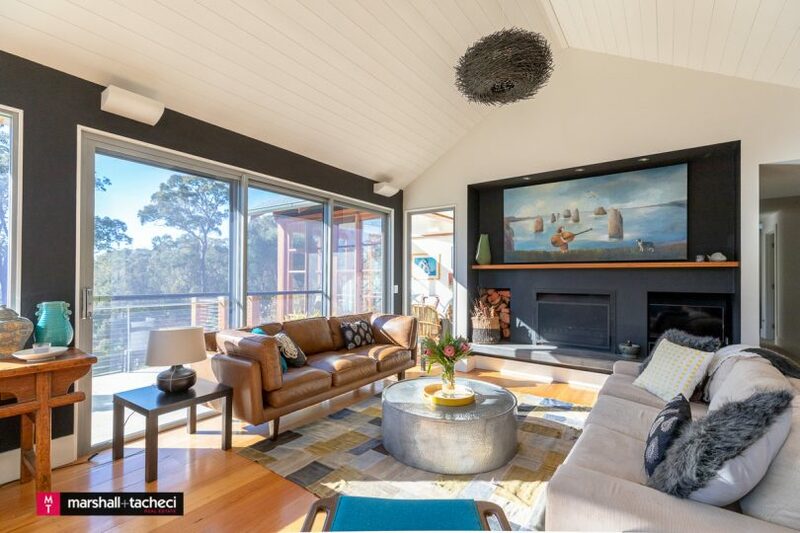 Listing agent Robert Tacheci from Marshall and Tacheci Real Estate said the property is very unusual in respect to all it brings together. “It’s the perfect combination – the site, the environment, the beautiful coastline, and the understated elegance. Everything about it they’ve put so much extra effort into,” he said. 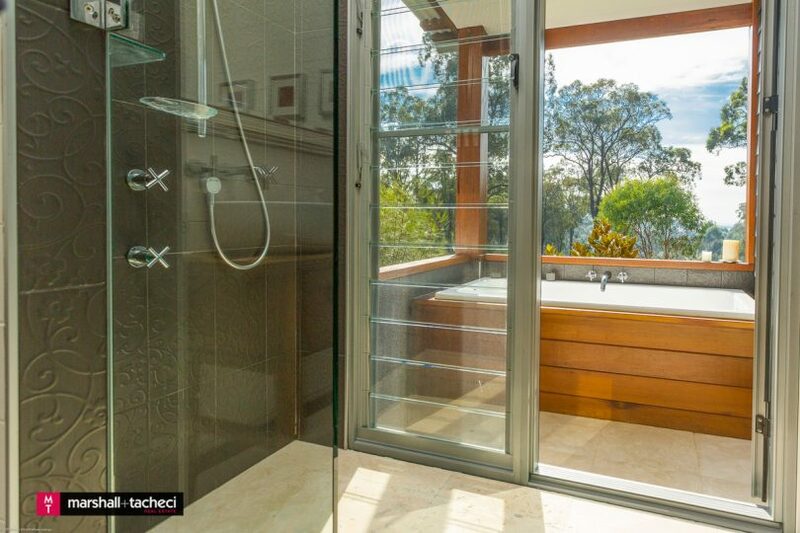 The main suite of the four-bedroom East Lodge residence has its own private meditation room, dressing room and an ensuite bathroom opening to a private verandah with a Japanese outdoor bath. The East Lodge also has three separate living areas, a core living room with 4.5-metre cathedral ceilings, a conservatory-style sunroom, a media room and a commercial-standard rosewood and stainless steel kitchen with butler’s pantry. Outdoors there is a sandstone-paved entertaining terrace which overlooks the resort-sized ‘wet edge’ saltwater swimming pool. 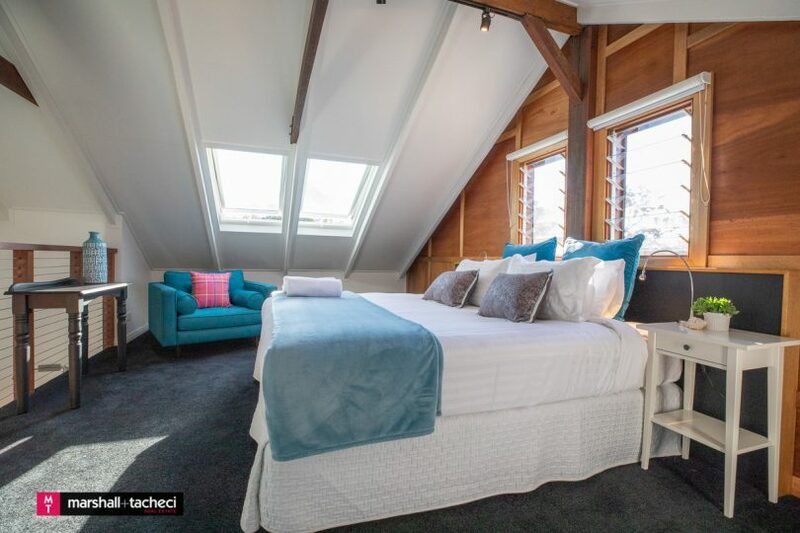 Underneath the East Lodge, there is also a self-contained 10m x 10m studio with internal and external access, as well as a kitchen and bathroom. 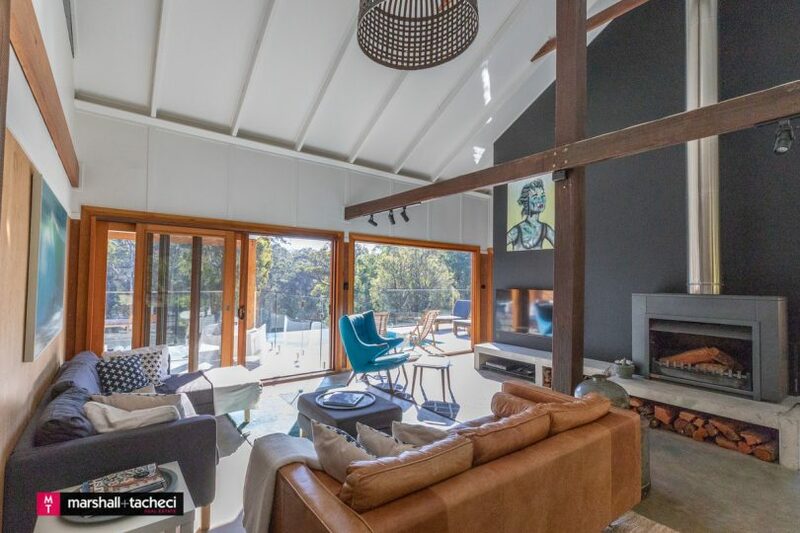 The three-bedroom three-bathroom West Lodge residence features a living area with 5.5-metre cathedral ceilings and an open fireplace. There is also an extensive outdoor entertainment area with covered terrace including a Japanese bath, plus sunbathing patio and a deep infinity edged saltwater swimming pool. The West Lodge’s kitchen opens via a servery for outdoor dining with additional outside cooking facilities including a pizza oven and teppanyaki barbecue. Underneath the West Lodge, there is also a studio suite, bathroom and office. 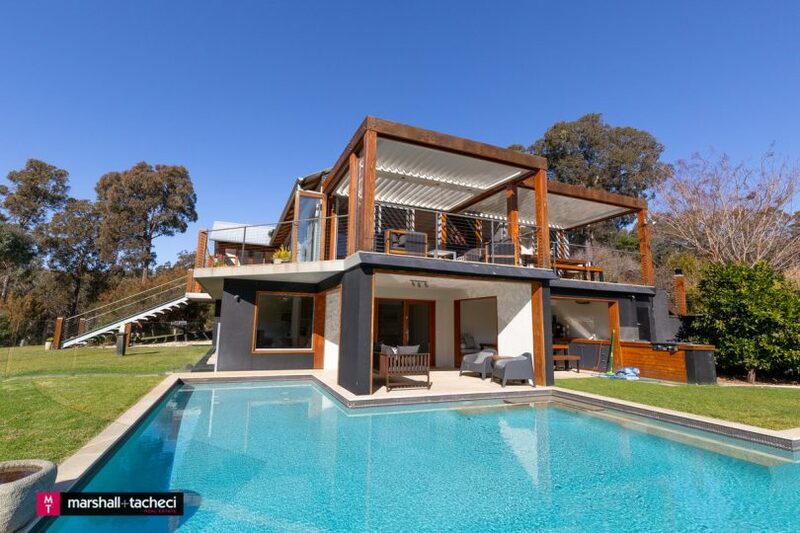 For more information about Indigo Retreat or to arrange an inspection please contact Robert Tacheci on 6493 3333 or click here.